As colder months quickly approach, it’s an all too familiar reminder that winter is just around the corner. 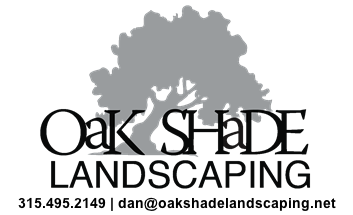 Like many Central New York residents, you’ve likely spent all spring and summer carefully pruning your landscaping, and tending to your plants, shrubs and lawn. Now that winter is on its way, it’s important to take the same care in preparing your landscaping for winter. Overgrowth can still occur during the fall, so pruning your shrubs before the first snowfall is one of the best ways to prevent infection in your plants. Consider pruning a preventative measure before your perennials and shrubs endure the long, cold winter. It’s vital that you don’t over-prune! Over-pruning can lead to dead shrubs, so only prune plants that require it the most. Perennials that require the most attention during the fall months are hydrangeas, lilacs, and common fruit trees. Placing mulch around the base of your perennials ensures they will retain moisture during harsh winter months. Additionally, by adding mulch before it gets too cold in your area, you are eliminating a lot of weeding labor when spring rolls in next year. Burlapping your shrubs is another important part of the winterizing process. After mulching and watering your shrubs, stake and burlap them to protect against wind damage, snow build-up, and other external elements common to Central New York. If you’ve spent a lot of time and money on your home landscaping, maintain it throughout the winter months. Hire an experienced and professional landscaper to make sure your shrubs, perennials, and other plants are maintained during the months when you don’t enjoy them. In doing so you will be able to enjoy all your landscaping sooner next spring, summer, and fall.